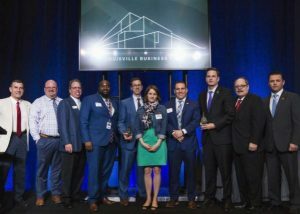 Grisanti Group Commercial Real Estate has once again ranked among Louisville’s largest commercial real estate brokers. Overall, Grisanti Group ranked as the 12th largest broker in Louisville, with over $29 million in transaction volume in 2017. In the Industrial category, Grisanti Group ranked as the 7th largest broker, with over $17 million in transaction volume. We were the 12th largest office brokerage, with over $8 million in office deals. Our office transaction volume was bolstered by the Diversified Consultants Inc transaction, mentioned on several posts here before, which was named a Business First Commercial Real Estate Champion Award Finalist. Grisanti Group’s industrial volume was bolstered by another year of multiple self-storage transactions and a major lease deal. Our self storage deals included sales of existing facilities, land for new development, and existing buildings for self-storage retrofits. We provided tenant representation on a large industrial lease transaction (over 155,000SF of manufacturing and distribution space), which we’ll be able to give more deal on later in the year when the project is announced. 2017 was another great year for Grisanti Group, and we appreciate all of our wonderful clients. 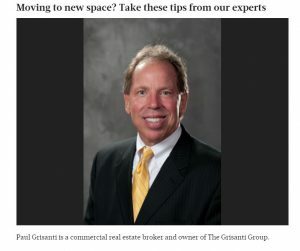 Louisville Business First reached out to our Principal Broker Paul Grisanti to get his expert wisdom for companies that are planning a relocation to Louisville. His advice in a nutshell: give yourself plenty of time. What’s your best piece of advice to a company that is relocating? Do not underestimate the time needed to properly go through the search process, and to find, or build, the facility for your needs. This time line will be determined by the size of the project and the marketplace. Typically, the larger the project, the more time needed. And certainly, if a company is going to build, this takes more time. If the market is tight, this again adds to the time needed to find the right space. And if the company’s ideal space is not available, it will take time to research, and maybe find a property which is not on the market. Now, after the perfect site is found, a tenant, or buyer does not want to be rushed. Proper due diligence must be followed to ensure that all of the boxes are checked. The specific items to investigate depends on whether the transaction is a purchase, a lease or a construction project. But I … assure you, it will take more time than you think, unless it is a very small project. And even a small project will take time to review pertinent documents. So the bottom line is this: plan for extra time. What is a common mistake companies makewhen searching for new commercial space? Underestimating or overestimating the space needed. This calculation must take multiple factors into consideration. First, if your business is growing, this growth rate must be considered into the space needs. However, it is also very important to understand how an efficient operation can save on the amount of space needed. This is true for industrial, retail and office operations. I’ve seen companies desire larger space due to growth, and I’ve seen companies desire smaller space due to more efficient operation, or because they have outsourced an aspect of the operation, or because another aspect of the business model changed which resulted in space needs changing. Also, not understanding the environment in a new city. Maybe a company is moving because they need to be closer to a customer, or a supplier. Or they want to expand to increase market share. Thorough investigation must be done to fully understand the total environment in a new location. This includes the market for space being plentiful, or tight. Is the labor pool able to fill the company’s needs? Will the company readily find space that is zoned for the company’s operations If the company’s required zoning is not available, it will take time to find the correct zoning, or to go through the rezoning process. (And rezoning a property may become expensive, especially if there is resistance from neighbors, and government.) Time spent in advance of any planned move will pay off later in time saved after a decision is made. Grisanti Group has helped several clients with relocation and new location projects just this year. We represented Jacksonville-based DCI Collect on locating a new call center in Louisville and we represented Care Innovations on their office relocation. Fortunately, both of these clients understood the need to start early, and these projects will be completed within the target windows. Grisanti Group is proud to have provided office tenant representation services to Care Innovations on its Louisville expansion project. Care Innovations and Kentucky Governor Matt Bevin have announced that the company plans to relocate from Prospect to downtown Louisville and create 24 new high-paying jobs. Grisanti Group sales and leasing agent Nick Grisanti worked with the Care Innovations’ leadership team to identify available Class A office space, negotiate lease terms, and secure approval for job-creation tax credits from the Kentucky Cabinet for Economic Development and Louisville Metro Government. Grisanti Group negotiated the lease transaction with Brown & Williamson Tower listing brokerage Jones Lang LaSalle. Care Innovations’ decision to relocate from Prospect to the Central Business District is vote of confidence for the downtown real estate market. 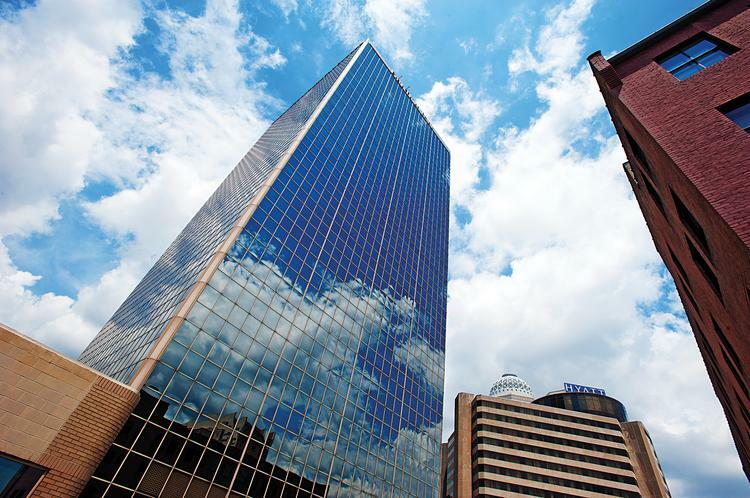 The momentum in Louisville’s class A office market is continuously swinging between the East End and Downtown. Several recent announcements have been wind in the sails of the downtown office market. Computershare’s decision to expand its footprint in Meidinger Tower, Ernest & Young’s decision to add 125 people to its downtown Louisville workforce and expand its footprint, and ad agency Scoppechio’s decision to take two floors in 400 West Market all bode well for the downtown real estate market. Additionally, the collapse of the Humana-Aetna merger allayed fears that Humana could significantly reduce its out-sized downtown footprint. That being said, Humana and PNC are both moderately reducing their expansive downtown footprints, and vacancy sits around 12%. The market is still favorable to tenants for the time being. 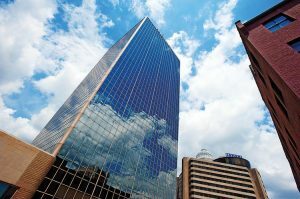 Insider Louisville recently published a good analysis of the downtown office market, and noted that one key dynamic to watch is the trend of older downtown buildings with Class B office being converted to residential and mixed use, which reduces the overall downtown office availability. If those Class B conversions continue and the economy remains strong, the downtown Class A market will continue to tighten and become more favorable to landlords. As a provider of office tenant representation services, Grisanti Group stands ready to advise clients on their companies’ office needs. Call us to today for a consultation. Grisanti Group is pleased to announce that our client Diversified Consultants, Inc., also know as DCI Collect, has signed a lease for nearly 40,000 square feet of office space. DCI Collect will locate at 5100 Interchange Way (pictured) in Commerce Crossings Business Park. Grisanti Group acted as the exclusive tenant representative for DCI in this transaction, which we brokered with landlord Capstone Development. DCI had a challenging real estate requirement. It needed large, open floor plans that could fit its entire 400-person operation on a single floor and also needed an above-average parking ratio which most office buildings could not accommodate. Further complicating the transaction was working around the current tenant, which is moving out in the coming months. We worked with the landlord on a solution that would accommodate the move-out schedule of the existing tenant and DCI’s tight construction time frame. As an exclusive tenant representative in the Class A/B office market, agent Nick Grisanti was able to assist DCI by impartially evaluating multiple building options. Are you looking for office or industrial property in Louisville? Call Grisanti Group today for unmatched service and expertise. The Louisville industrial real estate market is about to get another modern distribution facility. 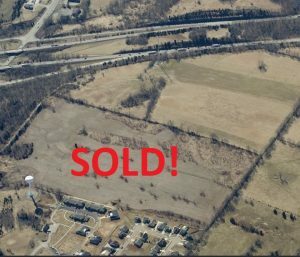 Grisanti Group Commercial Real Estate has sold a 29-acre parcel of land for industrial development. 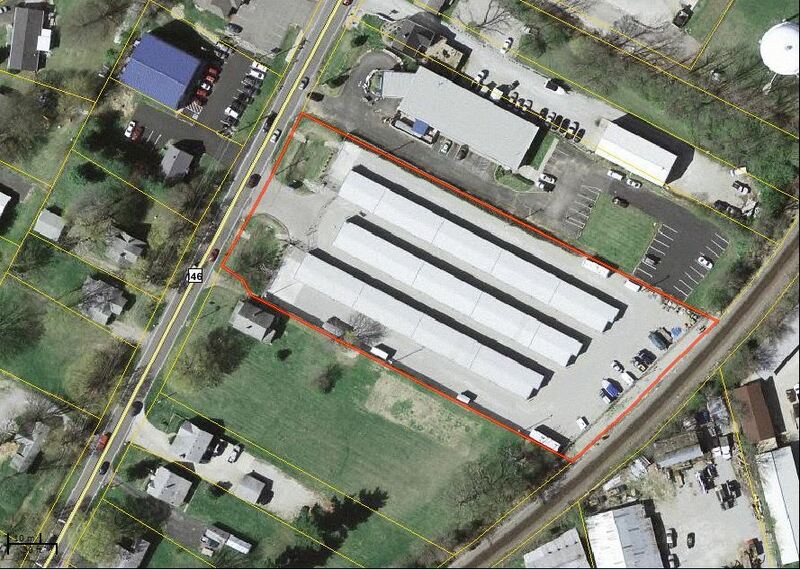 The property is 7830 National Turnpike in Louisville’s Southside/Airport industrial submarket. Grisanti Group represented the seller in the transaction. The buyer plans to construct an approximately 400,000 square foot modern logistics/distribution facility. A tenant for the proposed warehouse has not yet been announced, but our bet would be that an e-commerce distribution facility eventually calls this beautiful property home. As this article from Wealth Management states, “E-commerce had been averaging gains of 10 percent annually throughout much of the past decade, but those numbers have skyrocketed in recent years. A recent Deloitte study predicts that e-commerce will account for 30 percent of all U.S. retail sales by 2030.” Regional distribution facilities that enable “e-tailers” to provide customers with expedited delivery and return service are a crucial component of the e-commerce supply chain. The Louisville industrial real estate market has seen this boom result in millions of square feet in construction for logistics and distribution warehouses for e-commerce tenants over the last decade. This new facility at 7830 National Turnpike will fit that mold. Grisanti Group is proud to have helped our client capitalize on this trend. Grisanti Group Commercial Real Estate, a member of the ARGUS Self-Storage Sales Network, has recently sold South Oldham Self-Storage a 26,175-square foot facility with 187 units in Crestwood, Oldham County, KY. The purchase price was $1,700,000. The purchaser was a national self-storage company with facilities in multiple states. The seller was a local developer. Paul Grisanti, Ower and Principal Broker of Grisanti Group, and Nick Grisanti, Sales and Leasing Associate with Grisanti Group, had the exclusive listing to market the property on behalf of the seller. Grisanti Group secured the purchaser and represented both parties in the transaction. Grisanti Group has brokered $11,170,000 in self-storage transactions in 2016. South Oldham Self-Storage is in the heart of Crestwood, KY, a bustling community on the outskirts of the Louisville Metro Area. The facility was developed in 2001-2002 and consists of three buildings and outdoor parking for approximately 20 vehicles. The facility is fully fenced and has automated entry and exit gates. It has security cameras and an office for on-site management. The self-storage/mini-warehousing industry is experiencing a boom right now, and many national and regional investment groups are looking to enter the Louisville market. Grisanti Group is poised to help self-storage owners in Kentucky, Tennessee, and Southern Indiana maximize the value of their asset by connecting them to the right buyer for their property. While the demand for these properties is growing, they don’t sell themselves. South Oldham Self-Storage was a perfect example of needing to find the perfect buyer. While many national self-storage real estate investment trusts (REITs) may have passed on this property due the size being smaller than their target range, Grisanti Group was able to identify a buyer that specializes in smaller facilities in secondary markets like Crestwood. Call us today for a free evaluation of your self-storage/mini-warehouse property. 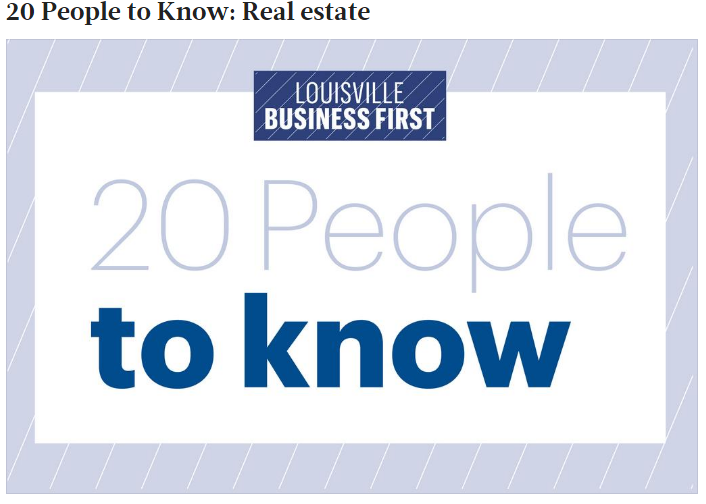 Our very own Paul Grisanti has been named in Louisville Business First‘s annual list of 20 People to Know in Real Estate. Louisville real estate community has many incredible professionals that keep our market activity humming. Paul is honored to be counted among them. Paul’s experience sitting on Louisville Metro’s Board of Zoning Adjustment gives him a unique perspective within the commercial brokerage community. Because of this experience, Paul is able to provide insight and guidance to our clients as they are navigating the tricky waters of Louisville’s zoning regulations. What regulations, requirements or red tape are most daunting about your work? As a broker, we must always be aware of legal issues and regulations of our practice. But, more importantly, we must also be aware of the legal issues and regulations which our clients face. The most daunting issue for developers is environmental regulations. Although governmental regulation is intended to be good for all, the effort required by some rules and regulations can be difficult to achieve. 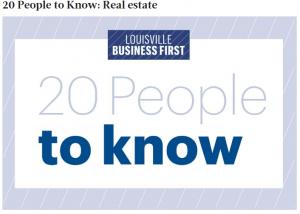 What are some up-and-coming areas to look out for in Louisville real estate?Obviously, with the new bridges — and especially the East End bridge — the Crestwood area is poised to grow. This area is easily reachable from the East End bridge when coming from Indiana into Kentucky. Since no exit will be allowed at U.S. 42 when coming into Kentucky, taking Interstate 71 north and getting off at Crestwood will be convenient. What advice would you give to someone who wants to build a real estate portfolio? Be choosy about selecting a very good location for now, and for the future. If you cannot purchase a property on your own, join with a good group who has similar goals. Describe an experience with a client that was very gratifying to you. I assisted the owner in redeveloping a great property, from interviewing architects and contractors, to filling the mostly-vacant property with tenants. It is now 100 percent full and that is a good feeling. What do you wish more people understood about the way your business operates? There are many aspects to this industry, and that is why it is so satisfying to me. I’m not certain that this question can be answered in one dimension. But, I will say that what is most misunderstood about this business are the technical issues — including legal issues — which some people do not appreciate or understand. Issues such as easements (rights granted to third parties), property title issues (is the obvious owner really the owner? ), and the process of working thru the details of a contingent contract (sometimes there are lots of moving parts), are the most common areas of confusion. Why did you get into the real estate business? I was in the restaurant business for more than 30 years and was able to communicate with customers of varied industries. Real estate always piqued my curiosity since it entailed so many different skills, such as communication, finance, negotiation and legal. And, it seemed to provide a good income, which it does. The weather is turning cold, but October has been red hot at Grisanti Group. Five sales in Louisville, Crestwood, and Shelbyville totaling over $7 million have closed this month. 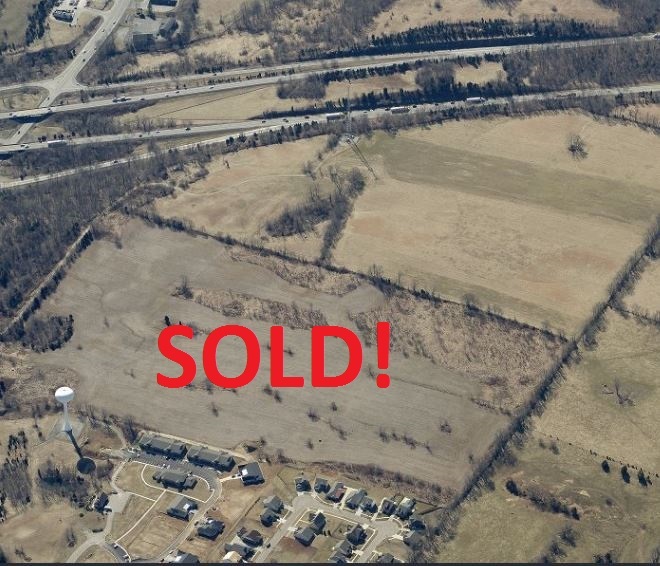 Our principal broker Paul Grisanti sold 52 acres of prime industrial real estate in Oldham County. 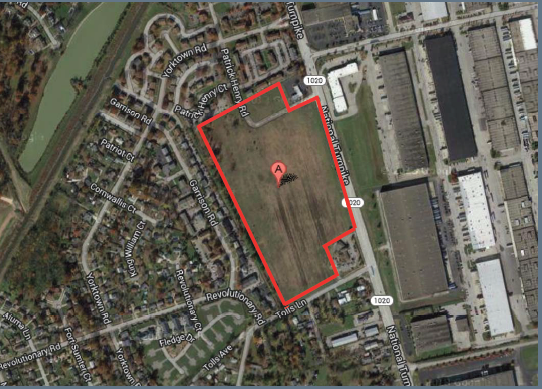 This property is located in Crestwood on Hwy 329 near the I-71 Exit 14 interchange. Paul had another sale of prime industrial real estate in Shelby County. A local Shelbyville industry purchased 5.5 acres of Grisanti Group’s 130-acre listing at Old 7 Mile Pike of land for $279,000. The self-storage market is booming nationwide. As the exclusive ARGUS Self-Storage Network broker for Kentucky, Tennessee, and Southern Indiana, Grisanti Group’s phones have been buzzing with self-storage inquiries. Mike Helline, Grisanti Group’s Self-Storage specialist, sold a storage facility on Preston Hwy this month for $2,800,000. Mike also sold a car wash on Dixie Hwy for $450,000. Patti Evans also got in the action this month with a sale of her office listing at 2607 Preston Hwy. The price was $195,000 for this two-story building with office on the first floor and apartments on the second floor. Whether you are looking to purchase or sell or lease an industrial, self-storage, office, land, or retail property, Grisanti Group can help you achieve your real estate objectives in the Louisville, KY market.